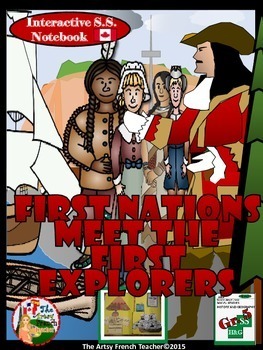 This resource is an artsy, engaging unit which covers the Ontario Curriculum Expectations for the Heritage and Identity Strands and will keep your students begging for more. 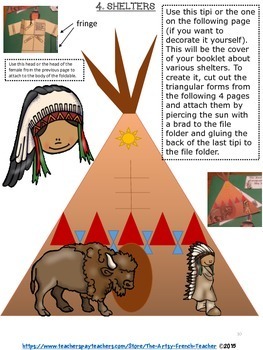 Excellent resource for homeschools OR for classroom use. This unit contains 70 pages of 22 foldable templates which may be printed in colour or grey scale. 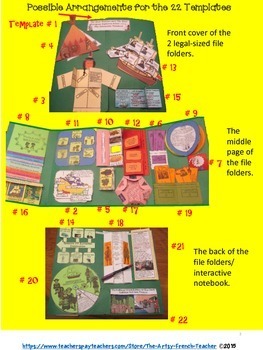 May be adapted for various learners by eliminating some of the foldables, or by doing in partners. Various implementation tips included, as well as, a culminating activity suggested and organization strategies. Do NOT photocopy on 2 sides of the paper. Layout suggestions, photos of templates and template instructions included. Les Premières Nations rencontrent les premiers explorateurs - Cahier Interactif. Le Porte-Clés Ressource des 120 Sites web pour FLS. Les Roues des Verbes—Conjugating French Verbs. 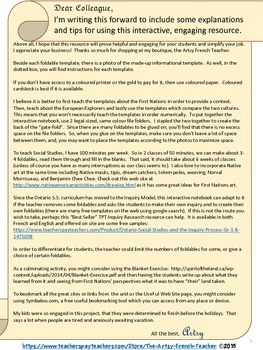 Les Études sociales de l’Ontario et le processus de l’enquête: Inquiry-Based French Templates, grades 1-8. Please rate me to accumulate your TPT credits which are accruable points that can be applied to future purchases to save you money. • You don't have to do it right away, you can go back after you've had a chance to review and use the product but you must rate and comment to receive credits. You'll earn 1 credit per $1 spent and TPT will round up for you, too! If you provide fair feedback on a $4.75 item, you will earn 5 credits. Every 20 Credits is worth $1 that you can apply towards future TPT purchases. You need a minimum of 20 credits to get the option to apply credits at checkout. THANKS! Copyright © The Artsy French Teacher. All rights reserved by author. This product is to be used by the original downloader only. Copying for more than one teacher, classroom, department, school, or school system is prohibited. This product may not be distributed or displayed digitally for public view. Failure to comply is a copyright infringement and a violation of the Digital Millennium Copyright Act (DMCA). Clipart and elements found in this PDF are copyrighted and cannot be extracted and used outside of this file without permission or license. Intended for classroom and personal use ONLY.